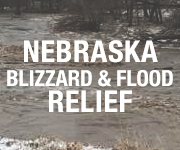 class="post-template-default single single-post postid-352759 single-format-standard custom-background group-blog header-image full-width singular wpb-js-composer js-comp-ver-5.7 vc_responsive"
MANHATTAN, Kan. – Chris Klieman, a proven winner with a championship pedigree, has been named the 35th head football coach in Kansas State history, Athletics Director Gene Taylor announced Monday. Klieman has won five conference championships and three national championships in five seasons as the head coach at North Dakota State, and he currently has the Bison in the FCS Semifinals with a perfect 13-0 record prior to taking on South Dakota State in Fargo on Friday night. Klieman has done all this despite losing 23 seniors and welcoming seven new assistant coaches prior to his first season at NDSU in 2014. That season, the Bison went 15-1 and won the national championship before going 13-2 with another national championship in 2015, 12-2 with a semifinal appearance in 2014 and 14-1 with a third national title last season. Klieman has agreed to a six-year contract with a base salary of $2.3 million in 2019 with a $200,000 increase each year. Klieman holds a 70-13 record in his six seasons overall as head coach, including a 67-6 mark at North Dakota State. His 84.3 winning percentage as a head coach is the third-highest mark by an active coach among all NCAA Divisions, while it is the top mark among current FCS coaches by nearly seven percent. Klieman’s record is even more impressive considering 37 of his 67 wins at North Dakota State (55.2 percent) have come over ranked opponents, while he has two wins in two tries over FBS competition – a 34-14 win at Iowa State in his first game at the helm of NDSU and a 23-21 triumph at 11th-ranked Iowa in 2016. His teams have also been stellar in protecting home field as evidenced by his 42-3 home record at NDSU, which includes a current 18-game home winning streak. The Bison have won the Missouri Valley Football Conference each of his five years as head coach and have put together a collective 36-4 (90.0 percent) record against conference foes since 2014. He was named the Bruce Craddock MVFC Coach of the Year in 2017, while he was the 2014 Rawlings Football/American Football Monthly FCS Coach of the Year. Klieman’s teams have been a model of success, ranking highly in many of the key statistical categories throughout his tenure. The Bison scoring offense has ranked in the top 10 each of the last three seasons – including a current ranking of sixth at 41.5 points per game – while their total offense mark has ranked in the top 20 the last two years with a current clip of 460.0 yards per game to rank 18th. Klieman, who came up through the coaching ranks on defense, has always produced on that side of the ball as NDSU currently ranks in the top 15 in scoring defense (2nd; 11.1), total defense (4th; 278.8), rushing defense (12th; 106.6) and passing defense (10th; 172.2). The Bison have ranked in the top six in scoring and total defense in four of his five seasons as head coach, including a No. 1 national ranking in total defense a year ago (237.4). Elevated from defensive coordinator to head coach at NDSU on December 15, 2013, Klieman’s defensive units during his two-year run as coordinator each included top-10 rankings in scoring defense, total defense, rushing defense and passing defense. Highlighting that run were No. 1 rankings in scoring defense in both 2012 and 2013, and total defense in 2012, the latter when he was named the Football Scoop FCS Coordinator of the Year. NDSU also led the nation in scoring defense when he was the defensive backs coach in 2011. Klieman began his coaching career as a graduate assistant at his alma mater, Northern Iowa, from 1991-92 before being promoted to an assistant coach in 1993. He went on to Western Illinois as an assistant coach from 1994-96 before serving as a GA at Kansas in 1997 and an assistant coach in 1999. Kleiman then moved on to Division III Loras College in Dubuque, Iowa, where he was the defensive coordinator from 2002-04 before taking over as head coach for the 2005 season. He returned to Northern Iowa in 2006 as an assistant coach before being elevated to defensive coordinator for the 2009 and 2010 seasons. 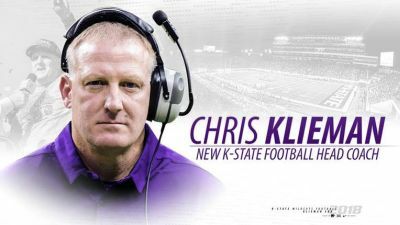 A native of Waterloo, Iowa, Klieman was a three-time All-Gateway Conference defensive back at Northern Iowa and four-year letterwinner from 1986-90. He graduated from UNI in 1990 with a bachelor’s degree in health education and a master’s degree in physical education in 1992.